It wasn’t always this way. Before he fell down a rabbit hole of bizarre and colorful characters (literally, with Alice in Wonderland), Depp had the makings of a dependable character actor who’d embrace quirky, off-center roles that would terrify most mainstream actors. Depp never seemed interested in furthering his career. He only wanted the next interesting part, and few were more engrossing than these 10 roles. Skip Mortdecai this weekend and, in stead, curl up with a few of these amazing performances, the 10 best of Johnny Depp’s career. 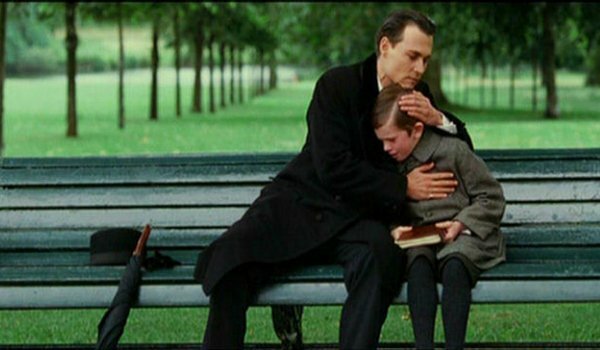 Easily one of Johnny Depp’s most compassionate roles, as he "fathers" a small family of precocious children, forges a strong bond with the young Freddie Highmore (they’d quickly reunite for Charlie and the Chocolate Factory), and writes one of the most inspirational children’s stories of all time. Depp isn’t a conventional leading man. But when he chooses to play it straight, he can conjure the warmth and heart it takes to sell a winning family dramedy like this. Easily one of Depp’s most likeable roles. The role that started it all? OK, technically, that would be Johnny Depp’s small supporting turn in the initial Nightmare on Elm Street (where he had a memorably bloody death scene). 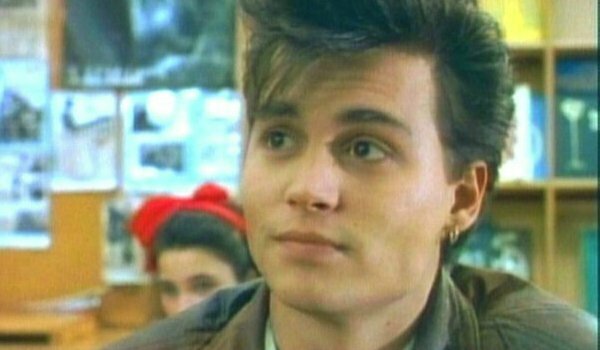 But Depp’s part on the weekly TV series 21 Jump Street established him as a household name, a heartthrob (an image he loathed), and a dependable actor who could explore eventual movie roles. He notoriously reprised the role in the recent 21 Jump Street comedy reboot, proving that even Depp knows how important the franchise was to his eventual career. And the episodes hold up to this day! Hear me out. In no way am I suggesting that Tim Burton’s take on the Willy Wonka story is better than the original, with Gene Wilder. It’s not. BUT, Johnny Depp’s commitment to the role of eccentric chocolatier is weird enough and kooky enough that he almost singlehandedly argues for the reboot’s existence. He has proper disdain for the brats on his tour. He forges a sweetly sincere bond with Charlie (Depp and Highmore, once again). And Depp draws on the shorthand conversation he seems to have with Burton to draw the most from this unusual material. 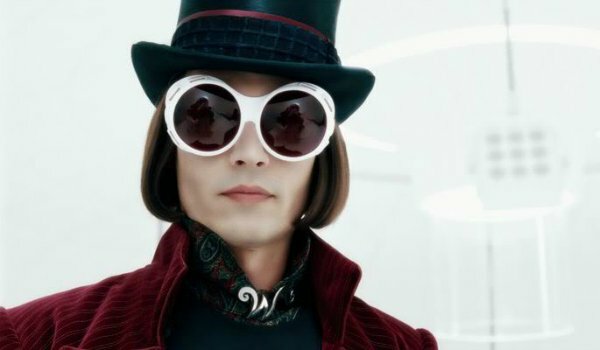 I like this Chocolate Factory, and I love what Depp does with Wonka. Another early example of the industry trying to figure out how to use Johnny Depp, and him bending the constraints of a familiar genre to suit his needs. 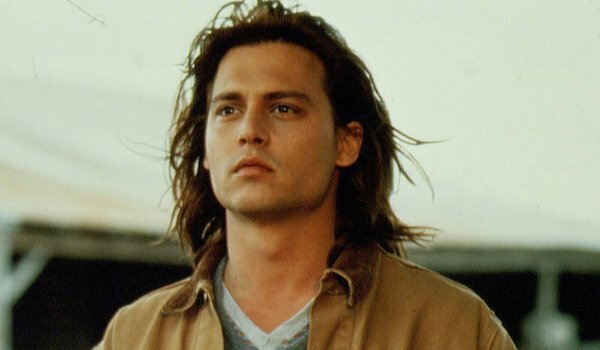 Benny and Joon is the closest Depp came to filming a tradition rom-com, only he still didn’t compromise his inherent strangeness to fit the needs of a script. Depp’s turn as Sam is one gigantic beating heart of quirky whimsy, and he’s met halfway by the beautiful Mary Stuart Masterson. Make a grilled cheese with your iron and enjoy. Ask any performer, and they’ll tell you it’s difficult to root a character in a drug-induced haze. One can only float through the ether for so long before they need something – anything – to grab on to. 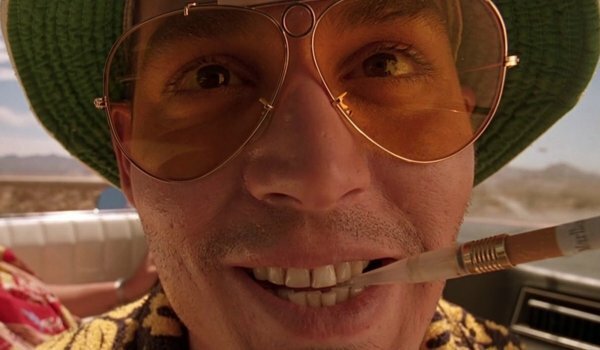 Depp and his gonzo co-star, Benicio Del Toro, grin and mug their way through the hallucinatory desert for the duration of Terry Gilliam’s adaptation of Hunter S. Thompson’s seminal work. The movie’s a mess, yet Depp’s performance is both overblown and restrained – a terrific high-wire walk by a performer enamored with his material. 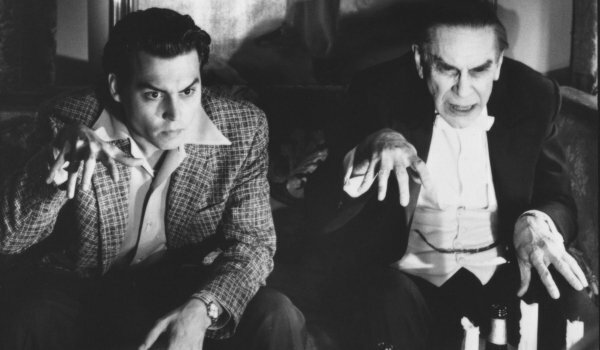 In hindsight, Ed Wood is a kindred spirit of Johnny Depp – a creator so committed to his art that he can’t quite tell what’s good and what’s awful. 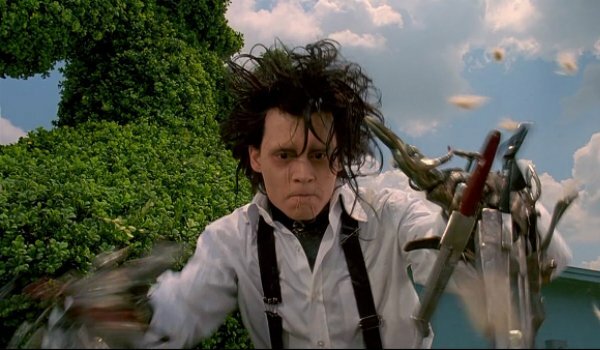 But the best part about Depp’s performance as Wood in Tim Burton’s hysterical biopic is that he never judges his subject, or insults him by playing him as the fool. And there are ample reasons for an actor to throw Ed Wood under the metaphorical bus. But Depp understood the methods that drove Wood’s madness, and he related to the isolation that drove the director’s "island of misfit toys" mentality when it came to putting a film together. Not Burton and Depp’s best… but it’s close. Is Gilbert Grape underrated? It tends to get more attention for young Leonardo DiCaprio’s turn as the developmentally disabled Arnie. But it also features yet another warm, compassionate and sometimes misunderstood performance by Depp. The actor, in his early days, knew how to bring recognizability to complicated teenage or young-adult roles. It was as if Depp inherently understood the strings that pull at the emotions of a certain generation, and he had the ability to write them large, on the silver screen. Grape can be heartbreaking, but Depp – at his finest – gives the film the support it deserved. 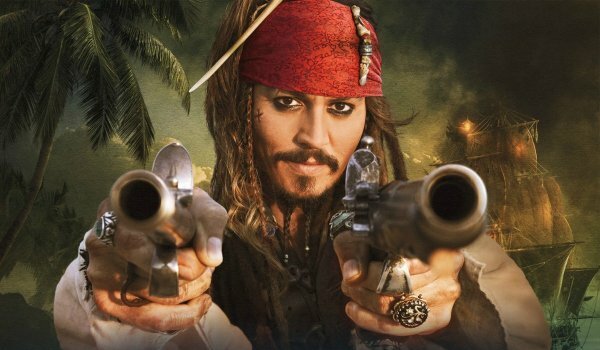 Before the character became a tired joke, Captain Jack Sparrow was a drunken breath of rum-soaked fresh air that blew through Gore Verbinski’s bloated high-seas adventure. Before we knew that Depp was cribbing his physical turn from Rolling Stones icon Keith Richards, his boozy twirl captivated audiences and blew critics through the back of the theater like a cannonball aimed at a pirate ship. Sadly, the joke of Jack has worn thin… even though Depp keeps playing him over and over. But I’ll stand by Curse of the Black Pearl, and Depp’s wonderful turn in his garish pirate garb. Easily my favorite Johnny Depp film, and the second-best performance of his career to date. It’s not just that Depp holds court with the great Al Pacino (giving a tremendous performance). It’s that he plays both sides of Brasco’s coin so well… the dutiful undercover cop who sacrifices his family, and the "budding" Wise Guy who needs to make inroads with a criminal organization if he hopes to succeed. Again, ever time Depp dabbles in a genre that could be conventional, he puts just enough of a spin on the material to instantly elevate it. 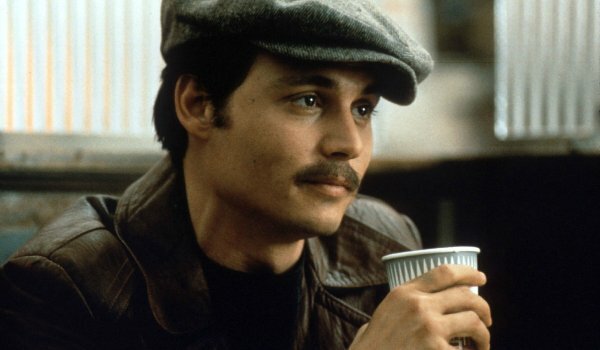 If you somehow haven’t seen Donnie Brasco yet, rent it… now. Johnny Depp’s best performance, and is finest collaboration with longtime friend and colleague Tim Burton. Both the director and the actor love exploring unusual people tossed into seemingly normal situations… explaining, in the process, why the alleged "freak" is far more normal than the standard folks who surround him. Depp is Burton’s muse, that they eviscerate suburbia, pay homage to the Frankenstein myth, pen a tender love story for Depp and Winona Ryder, and deliver a dark fairy tale for the ages. This one taps into everything that Depp does naturally, writing a story that fits all of his strengths as a performer, and as a person. Burton and Depp simply don’t get better than this.